What is stored procedure in SQL? Why to create stored procedure? 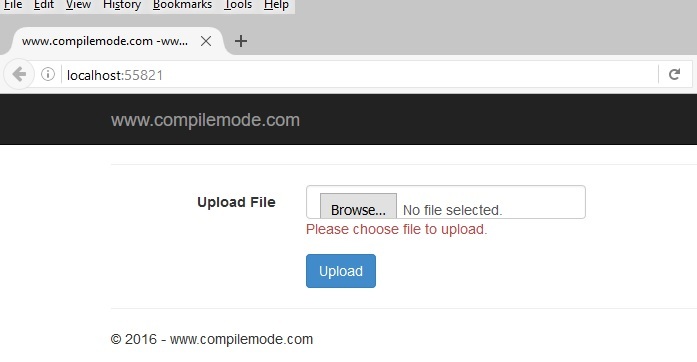 I hope this video tutorial is useful for all viewers , If you like video then don't forget to share and subscribe compilemode.com YouTube Channel. Previously I have written many articles on web services right from creating to consuming web services and it has huge response , Now in this article we will learn how to consume or call web service using HttpWebRequest class. This approach sometimes we need when consuming the third party web services where we don't know much about the endpoints and configuration of web services . In this article we will not be create any web service because we have already created it So If wants to learn basics of the web services please refer my previous articles. I hope you read above articles , Now lets learn how to Call Web Service using SOAP request in console application step by step so beginners also can understand . Step 1: Find the Web Service SOAP Request Body. In this article We are not going to create web service because we have already created it and if you wants to create web service and learn about it then please refer my preceding articles. So lets find out the SOAP request body which is used to pass input parametes and invoke the web service . I have one web service which is hosted in in my local IIS .So paste your web service url into the browser and wait till following response come which is shown in following image. In the above screen shot , you might be noticed that there are three web methods in the web service named Addition , EmployeeDetails and HelloWorld. Now click on one of the method which you wants to invoke , After clicking on web method it shows SOAP request and SOAP Response body , find out the SOAP request body which is shown in the following image. In the above image , We are clearly observing that , It shows the all details how to make SOAP request and also showing parameter values which is require to invoke service using HttpWebRequest . So lets learn in brief about those parameters . HTTP Method: It's nothing but the what type of HTTP request you wants to make to the service such as GET , POST ,PUT or delete. Host: It defines the url where is the service hosted , in our scenario our host is localhost , i.e http://localhost/Employee.asmx. SOAPAction: This is very important attribute to identify specific web method and call it from multiple web methods . SOAP Body: It contains the request and response body. 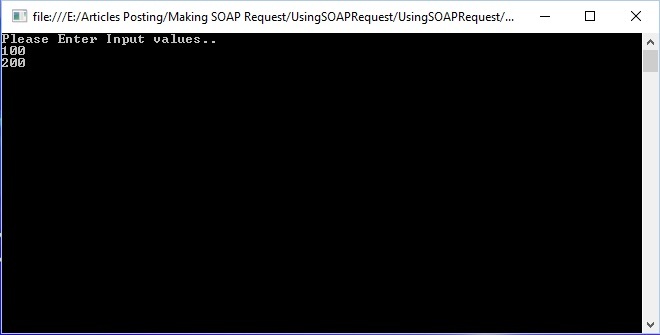 I hope you learned about SOAP request parameter , Now copy the soap envelope part to use it as SOAP request which we will use in our console application. "Start" - "All Programs" - "Microsoft Visual Studio 2015". "File" - "New" - "Project..." then in the New Project window, console "C#" - ". Give the project a name, such as "UsingSOAPRequest" or another as you wish and specify the location. 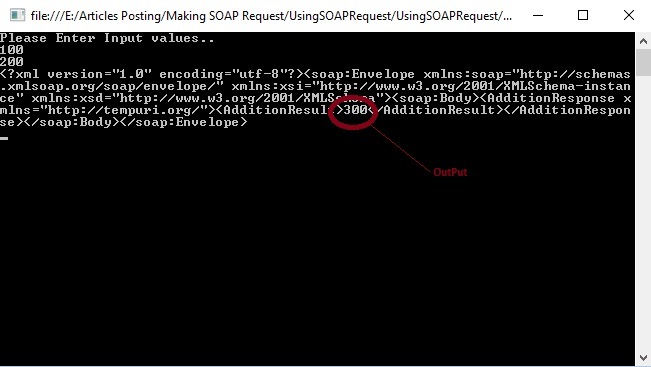 "?>   < soap: Envelope xmlns: soap = ""
< Addition xmlns = ""
In preceding console window you have seen web service response in the form of XML format which contains the output as 300 . I hope from all above example you have learned how to call web service using SOAP request in console application. Apply proper validation as per your need. I hope this article is useful for all readers , if you have any suggestions related to this article then please contact me. This article will demonstrate the how to create strongly typed checkbox list in ASP.NET MVC application, So lets learn step by step about it. 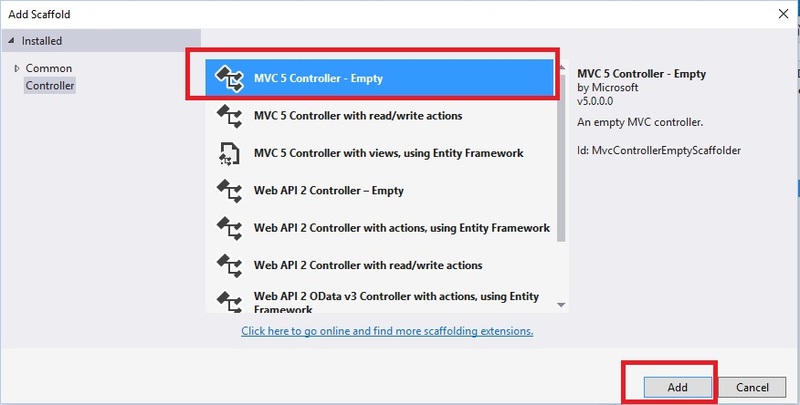 Step 1 : Create an MVC Application. 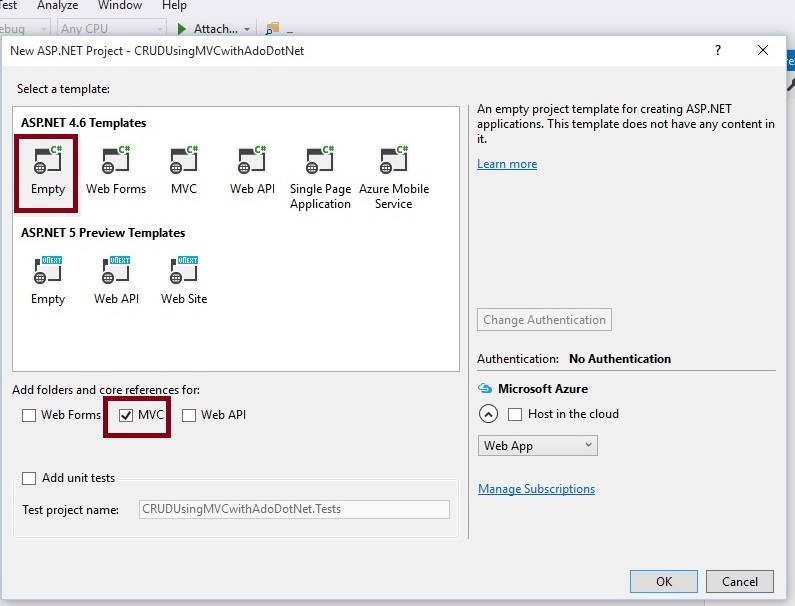 "File", then "New" and click "Project..." then select "ASP.NET Web Application Template", then provide the Project a name as you wish and click on OK .
Now everything is ready ,run the application then the check box list will be look like as follows . From all above example we have learned how to create strongly typed checkbox list in ASP.NET MVC. I hope this article is useful for all readers, if you have a suggestion then please contact me. In today's modern web application each and every thing is important including request URL pattern of the application to make application more traffic driven and user friendly. In earlier ASP.NET application all the user request are mapped with physical file location that is with .aspx pages. These types of URL pattern are won't be customized to make it user, SEO friendly and most of the time in ASP.NET application to overcome these URL drawback URL rewriting technique is used, But still it unable to fulfill the expected requirement. In ASP.NET MVC, URL pattern is completely different as compare to the ASP.NET application URL pattern, So lets learn about the ASP.NET MVC routing. What is routing in ASP.NET MVC ? Routing is the concept in ASP.NET MVC which is used to define the URL pattern for the ASP.NET MVC application incoming user request. The default routing in ASP.NET MVC is a conventional routing which is get added in RouteConfig.cs file when we create ASP.NET MVC application, These type of routing defined in RouteConfig.cs file . I hope from preceding brief explanation you have learned about the ASP.NET MVC routing, In my next article we will learn each of the routing in details with real time examples. All routes should be registered into the Global.asax file . We can define multiple routing in single application in this case it executed sequence wise as it defined. I hope, this article is useful for all the readers. If you have any suggestions, please contact me. In my next article we will learn real time example of conventional and attribute routing. Microsoft launches the Visual Studio 2017 with lots of features some them are even not predicated such as Visual studio can support other languages other than Microsoft origin and also Visual studio can be get installed on other operating system than the Microsoft windows operating system, Now all is possible you can installed visual studio on Linux & Mac OS as well also you can develop the application using multiple open source languages which are not developed by Microsoft . This is a free edition having fully featured which can be used for students, open-source project contribution, individual developers and non-enterprise organization having not more than five users. This is a commercial editions having Professional developer tools, services, and subscription benefits for small teams which can be used by purchasing the licensed copy. This is a commercial editions having the features to meet end-to-end solution where high demand of quality and scale the team in all sizes. enterprise edition can be used by purchasing license. This is a Free, open source edition of visual studio which cab be used to develop the application using wide range of open source programming languages. Visual studio code can be installed on Mac, Windows and Linux operating system. 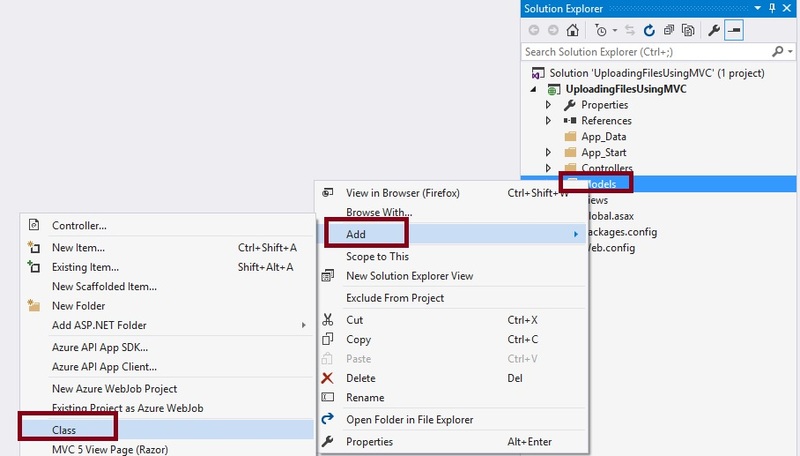 Now you can load the projects in visual studio solution explorer very faster using lightweight solution load feature which is useful when your project solution contains multiple projects. Now you can test your code once you save your changes in visual studio editor instead of running test methods separately, This feature can help to fix the code issue while doing the real time development instead of fixing it later & change your code again. 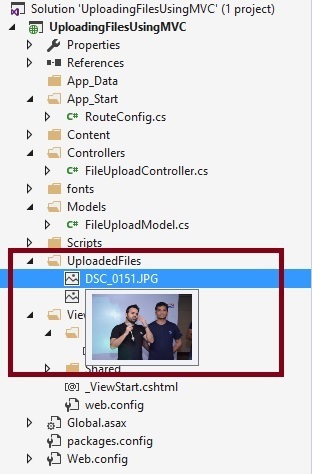 Now you can define your coding style and conventions directly from the visual studio and force developer to follow your defined coding standards which will help to achieve uniformity in coding standards across your project team developers. Now you can validate your project architectural dependencies which will helpful to remove the unwanted dependencies from your project & improve the performance as well as security. Now can navigate easily into the code from visual studio to search classes and methods of your project also visual studio 2017 makes very easier to find all references of particular variable or methods of your project. Now you can filter the intellisense and find the appropriate properties and methods very easily. Now you can debug your specific line of code without setting the debug point with the help of click to run feature. I hope this article is useful for all readers, In my next article we will learn in details of each feature, If you have any suggestions please contact me. Connection() is the method which contains the connection string . Con is the SqlConnection class object. AddNewEmpDetails is the stored procedure. Step 3 : Add Controller Class. After clicking on Add button it will show the window. 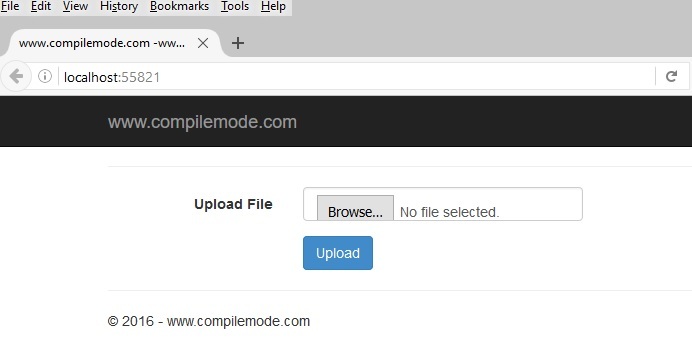 Specify the Controller name as FileUpload with suffix Controller. The controller name must be having suffix as 'Controller' after specifying the name of controller. Now lets modify the default code in FileUploadController.cs to read uploaded files . HttpRequestBase: We can use HttpRequestBase class property named Request to get collection of files or single file. 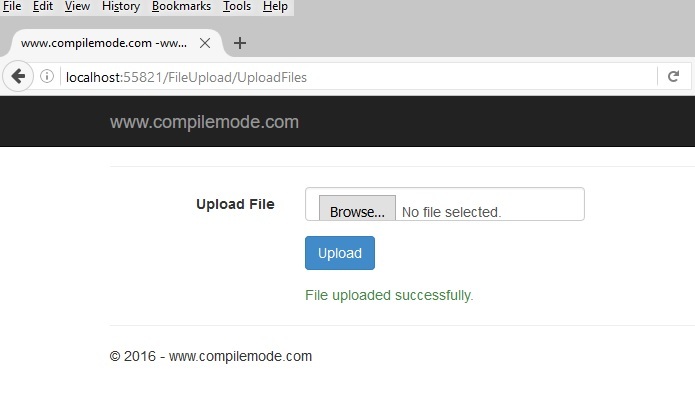 HttpPostedFileBase: This is the easiest way to read the uploaded files into the controller . Now let's open the FileUploadController.cs class file and write the following code to read file using HttpRequestBase class. Step 4 : Creating view named Index using FileUploadModel class . Now we have done all coding to upload files. I hope from all the preceding examples we have learned how to upload files on server folder . HttpPostedFileBase instance name must be a file. Model class property name must be file so it can generate the input type file . Its important to define enctype = "multipart/form-data" in form action otherwise file value will be null in controller . I hope this article is useful for all readers. If you have any suggestions please contact me. In this article we will learn how to populate list of countries using C# globalization class which is capable to display the countries list. After clicking on Add button it will show the window. Specify the Controller name as Home with suffix Controller. In the preceding code snippet we are binding DropDownList with ViewBag in which country list is assigned into the controller class. 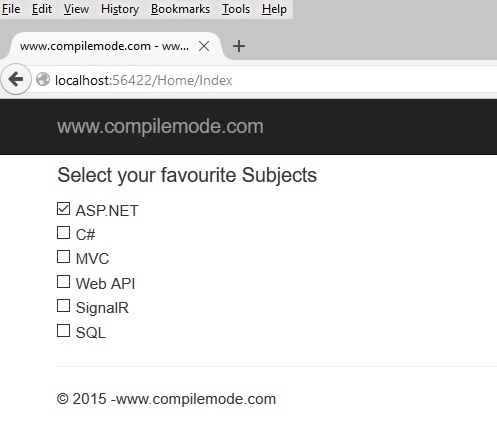 I hope from all the preceding examples, you learned how to display country list without Database in ASP.NET MVC. Perform changes in code as per your requirement its just example . Follow proper standards which might be not meet with this given code. It will not display all county list but its shows list major around 144 countries . In my previous articles we have learned how to create MVC application and how to publish ASP.NET MVC application, Now in this article we will learn how to host ASP.NET MVC application on IIS . Hosting is required to make any application accessible to the end-user publicly on web. 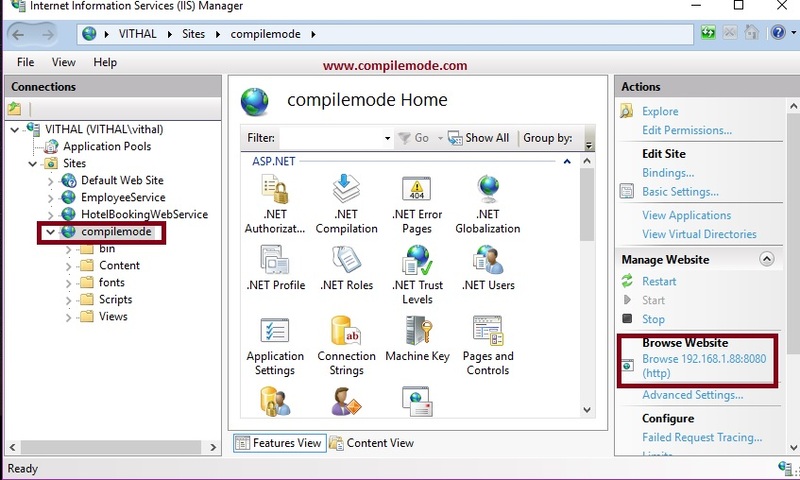 So, in this article, we will learn how to host ASP.NET MVC application in IIS 10. The following steps are required to host any application. 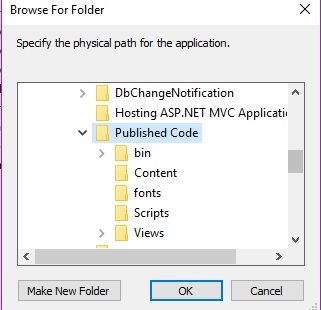 If you don't know how to develop and publish ASP.NET MVC application then please refer to following step by step tutorial link to learn about it. I hope you have learned required two steps that is developing and publishing ASP.NET MVC application, Now lets start hosting MVC application on IIS. 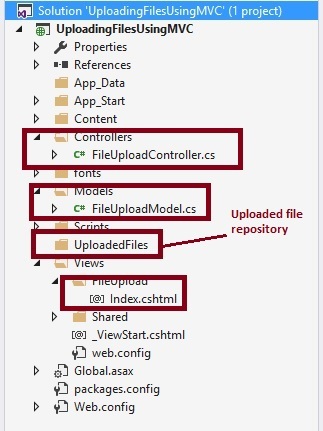 Copy the "Published files" which we have seen in our previous article Publishing ASP.NET MVC Application Using File System and paste those on respective Servers where you want to host the ASP.NET MVC application. In our last article we have published ASP.NET MVC application in the E drive of my Server, as shown in the following image . Now, open the IIS Manager from Windows menu or in any other ways you have known. The above image is of IIS 10 Manager of my Windows 10 machine. The view as well as options might be different on your machine depending on the OS version. 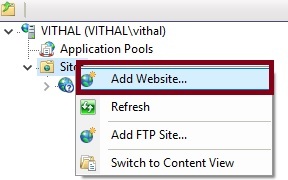 Right click on "Site" in IIS and click on add new website, as shown in the following screenshot. After clicking on "Add Website" option, it displays the following configuration window. I hope you understood the preceding configuration by highlighted text. 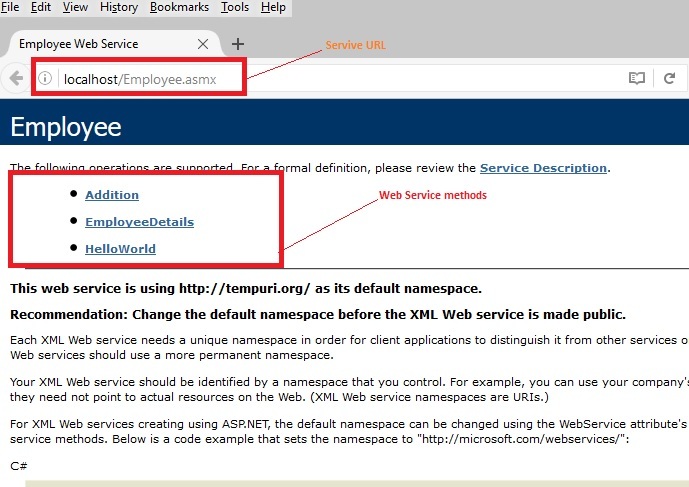 Define the site name which will be useful to uniquely identify the site within the IIS server. 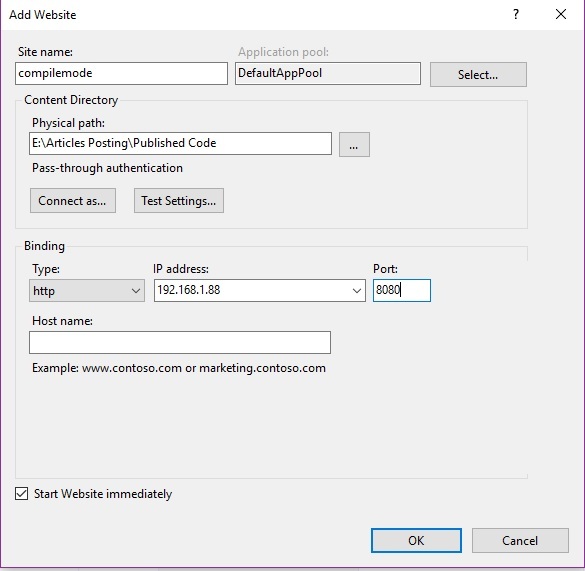 After specifying the site name, choose the application pool from available pools. You can even create a custom application pool with any desired name. Currently, our IIS manager has the following application Pools. 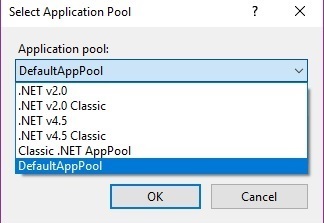 Choose the application pool depending on your application configuration. In this article, we are going to choose DefaultAppPool. Now, choose the physical location of published code files by clicking on "Browse" button, as shown in the following image. Now, click on "OK" button. 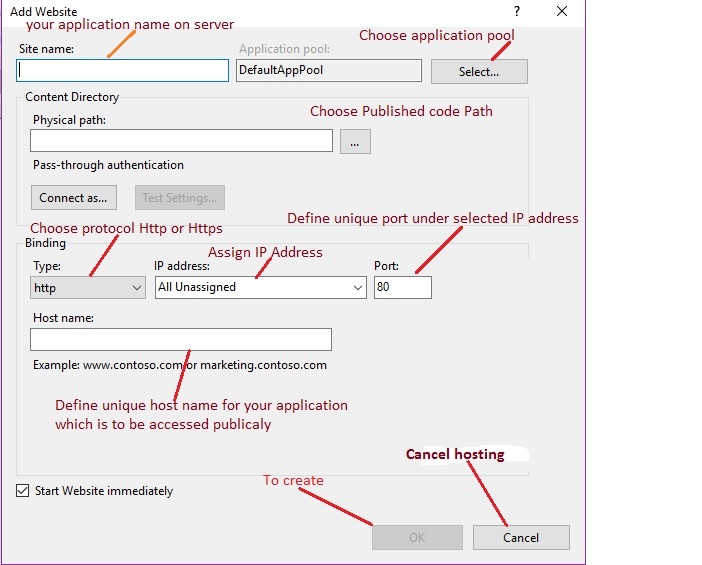 Choose one IP address from the list of available IP addresses and define the unique port number for the application, which will be unique within the defined IP address. Choose the protocol for your application i.e HTTP or HTTPS which requires port 443 to be open and choose the Host name which will be used publicly to access the application. After defining all the configurations, the web site configuration window will look like this. Now, click on OK button. It will create and add the application in IIS. Preceding is our IIS hosted ASP.NET MVC application which is running in browser. This article is just guideline to show how to host ASP.NET MVC web API application on IIS . Optimize the speed by setting debug as false etc., from web.config file as per your skills. In this article, the optimization is not covered in depth. Configure the authentication in IIS as per your requirement . I hope, this article is useful for all the readers to learn about hosting ASP.NET MVC web application on IIS. If you have any suggestions, please contact me.